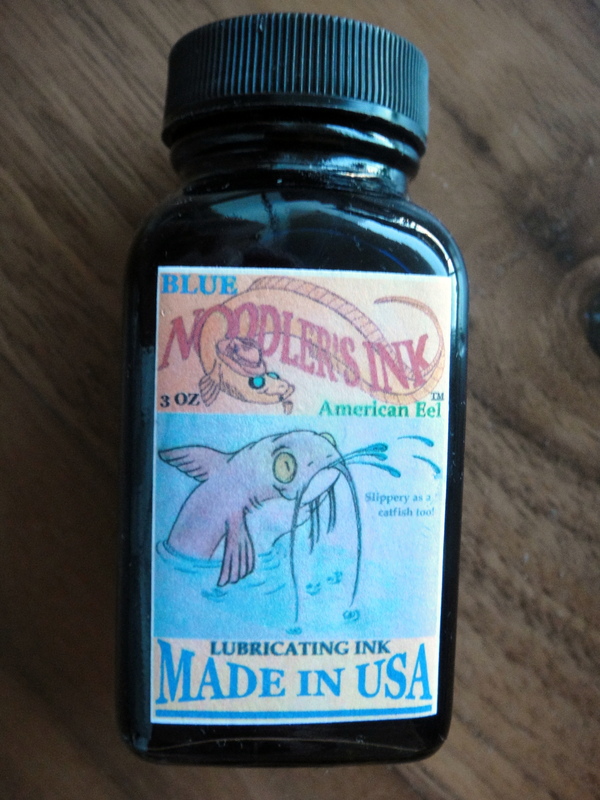 Noodler’s Blue Eel is a lubricated ink that is designed to improve the flow of your fountain pen. 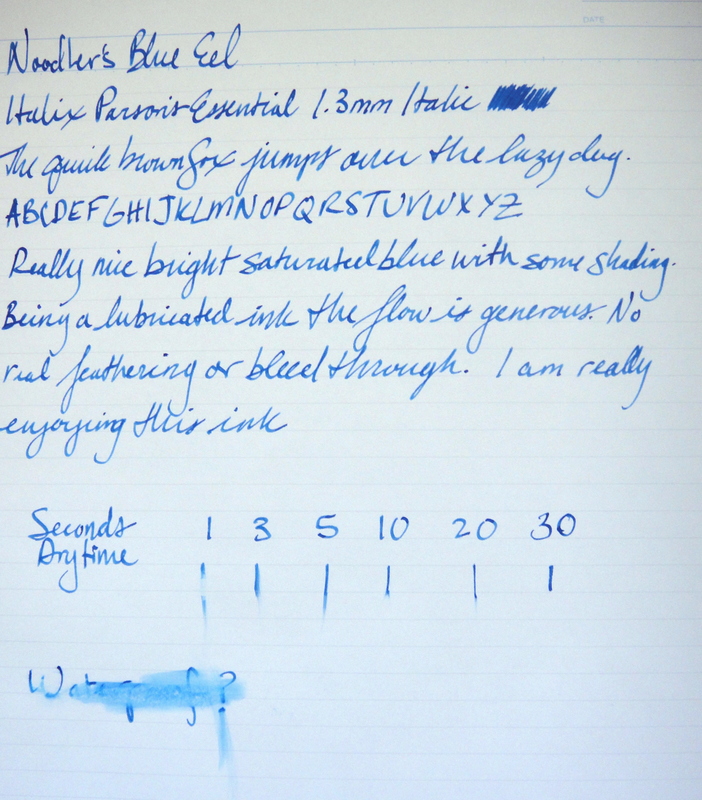 I was surprised by how much I ended up liking the color of the ink; it’s a real bright and saturated blue. The flow is heavier as you would expect from a lubricated ink but so far has not caused problems with any of the papers I regularly use. No real issues with bleeding or feathering. Dry time is on the average to slow side and it is not waterproof. This is easily one of my favorite blues. Writing sample on Maruman Smooth-To-Write loose leaf paper.